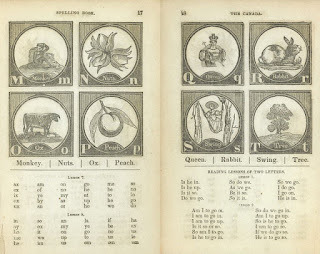 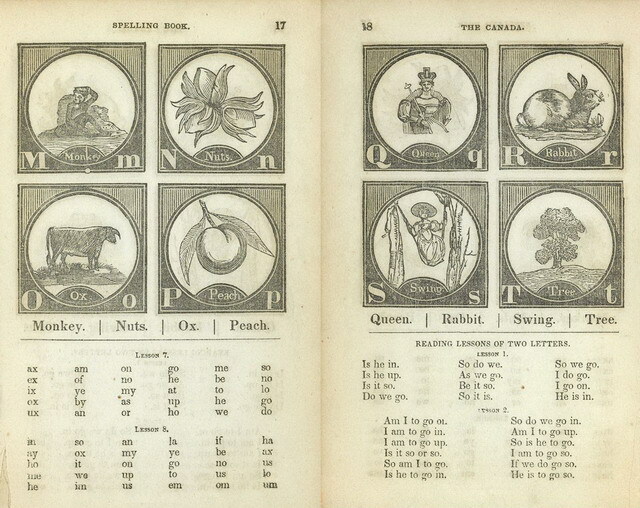 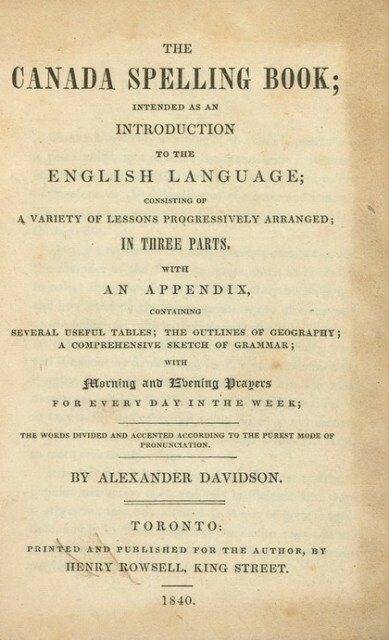 Today in 1840, Alexander Davidson published the first Canadian copyrighted book, The Canada Spelling Book. 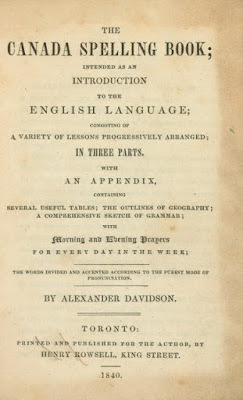 Davidson did not like the amount of use American textbooks had in Canadian schools and in 1828 he commented that nine out of every ten books came from the United States. 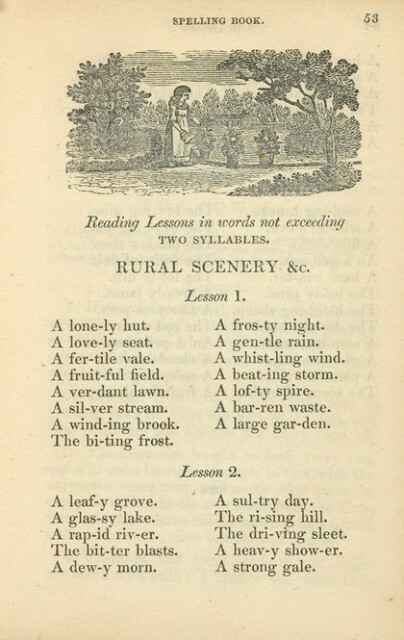 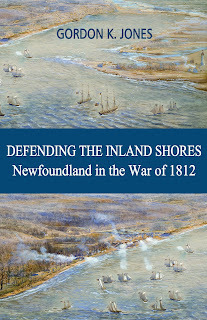 He also thought that spelling-books from England were “to us necessarily defective, not being suited to our scenery and other localities.” The lessons in his speller were illustrated by references to Canadian places, and the necessary connection between religion and education was maintained by ensuring that each reading lesson would “subserve the interests of religion and morality.” It was common for spellers of the day to provide moral lessons.